For teachers, it's to be prepared for new challenges. For students, it's get more sleep and read every day. 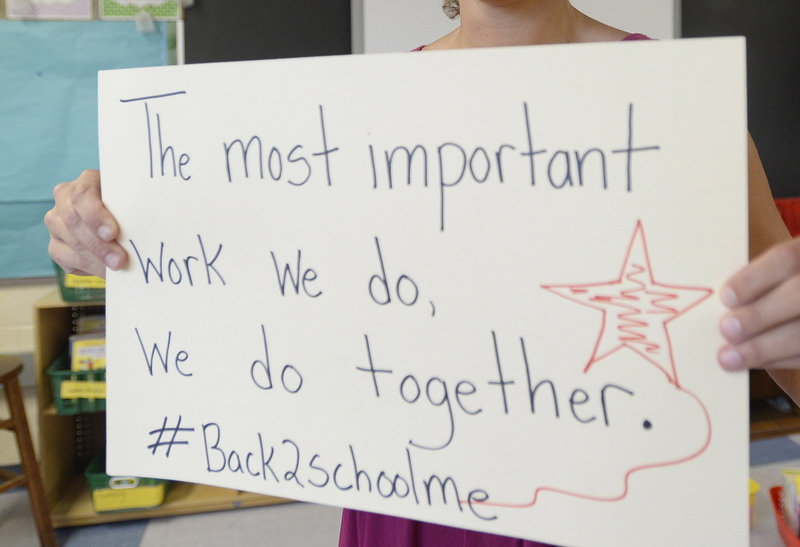 CAPE ELIZABETH — Ask one of Maine’s best teachers for back-to-school advice and the last thing she wants to talk about is turning in homework on time, the merits of proper penmanship and why students should sit quietly in their seats. Instead, she’s more interested in asking her third-graders to make a lobster trap out of cardboard tubes, string and some tape. On the first day of class, she plans on giving them the absolutely messiest possible assignment so they can have some fun, learn that they can make a mess – and how to clean up. Edlund and other teachers who were semifinalists for Teacher of the Year offered their advice for students going back to school, along with some wisdom for fellow teachers. The eight semifinalists were selected from the 16 teachers identified as finalists in each county. This past week, Edlund; Brenda LaVerdiere, a fourth-grade teacher at Academy Hill School in Wilton; and technology integration specialist and English teacher Mia Morrison at Foxcroft Academy in Dover-Foxcroft were selected as the three finalists for Maine Teacher of the Year, which will be announced in October. For students, the teachers say, standbys like getting enough sleep, reading more and getting exercise instead of spending time online are key. Advice to students from Maine’s top teachers ranges from get lots of sleep to play outside to read, read, read every day. For teachers, the classroom and the education world have changed dramatically in recent decades, making teaching a little more difficult than instilling the three R’s. Federal No Child Left Behind legislation introduced a wave of new testing protocols in the 1990s, punishing schools that didn’t improve fast enough. That has led to pressure on teachers to “teach to the test.” Another wave of change came a few years ago when dozens of states adopted new Common Core standards, spelling out what students should know in each grade. In Maine, the education landscape shifted as Gov. Paul LePage introduced charter schools, a teacher evaluation system, annual A-F report cards for all the state’s schools, and proficiency-based graduation requirements. Those changes have had an impact on the classroom. For example, last year Maine students took state assessments online for the first time instead of using paper and pencil, so teachers had to teach students how to take tests that way – and make sure the technology worked. Pushback from teachers and parents about the difficulty of administering the Smarter Balanced test, along with concerns about the content and opposition to national standards, led the state to drop the test. State education officials are now working to find a new test to give students this school year. The teachers said they support the Common Core standards, but parents need to learn more about them. Gregg, who said the standards mean students have to “dig deeper,” said the changes also mean parents may not be sure what’s happening in the classroom. Technology has also transformed the classroom itself. Even the youngest students use computers regularly, a big change for teachers who didn’t use technology until the last decade or so. Another shift is tying education in the classroom to real-world experiences. LaVerdiere, who has been teaching for 38 years, said she reached out to Hannaford in 1990 to form a partnership between the grocer and her classroom, leading to classroom visits by Hannaford employees and “orientation” exercises where students fill out job applications and prepare for a job interview. Hannaford managers interview the students, choose a job and the students “work” for a day at Hannaford. Another challenge is constantly adapting to new teaching styles and methods, such as switching from phonics-based reading instruction to whole language, or a new math instruction program. Teachers must go through extensive professional development training to learn the new methods, which can be controversial or time-consuming. But shaking things up can also be invigorating, said Morrison. The teachers’ best advice for students is to tackle the year by getting organized – and read. Several teachers said the fundamentals still apply. “It boils down to this: Be kind. Work hard. Have fun. 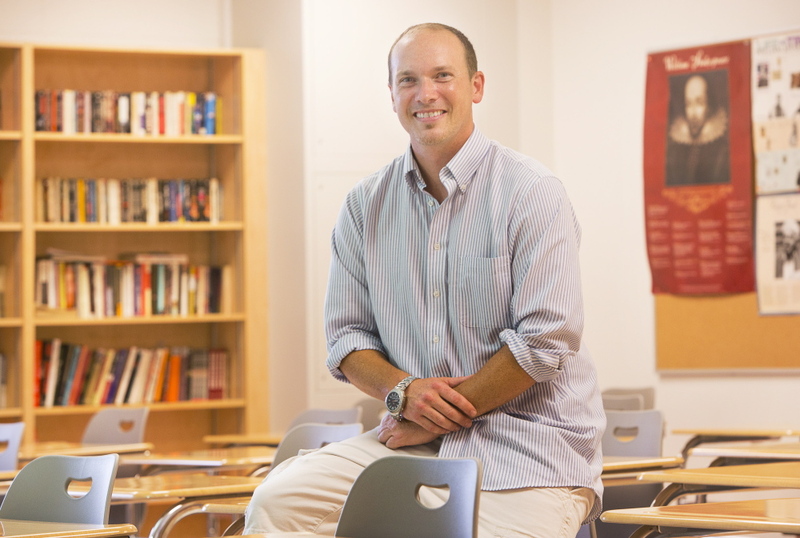 Read,” said Ben Brigham, who teaches English at Shead High School in Eastport. And get enough sleep, he added. “I’m dealing with teenagers and that really is a big piece of advice I give my kids. I see them around town and I tell them it’s time to start setting the alarm so you’re alert and ready to learn when you are in school,” Brigham said. Reading and playing are particularly important for elementary school students, said Edlund, as she reorganized her classroom library – a back-to-school ritual of her own. Above her head, twine stretched across the ceiling with clothespins, ready for a year of art masterpieces. Small blue chairs were stacked on tables, alongside boxes of science experiments and books. Brightly colored bins with crayons, glue sticks, Legos and puzzles lined a bookshelf. Angela McLaughlin, a second-grade teacher at Asa Adams Elementary School in Orono, agreed. “Just read every day. Make sure books are available to them, send them home with books every day, invite them into the library,” said McLaughlin, who makes a point of reading to her students every day, using dramatic voices for different characters. All the teachers said they wanted most to make a connection with each student.